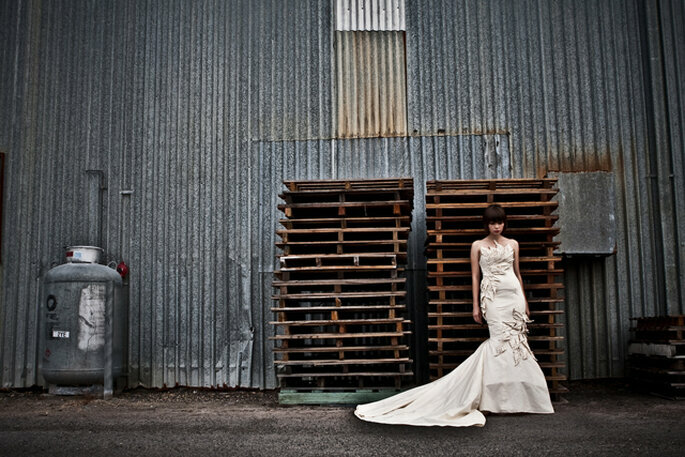 Here at Zankyou we love bringing you inspiration from all different types of weddings and themes. One of our favourite looks of the moment, is contemporary, modern and very urban. 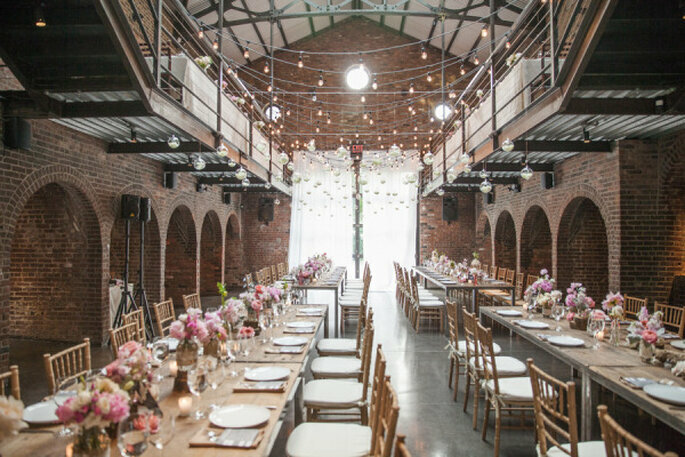 For today’s theme, we bring you warehouse weddings with an industrial concept, perfect for a wedding in a city with a twist. 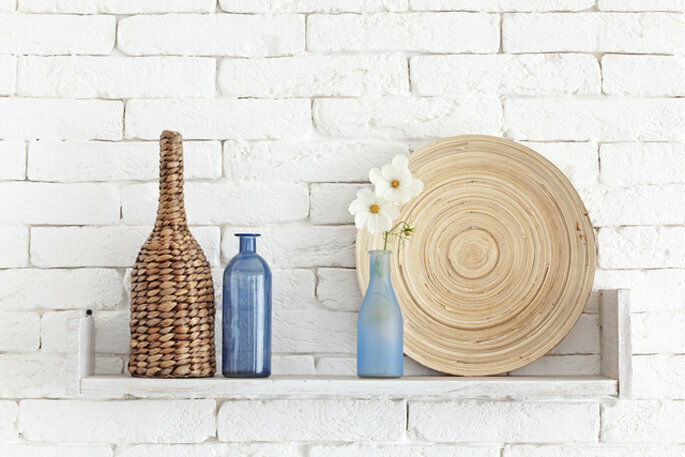 We love this style! 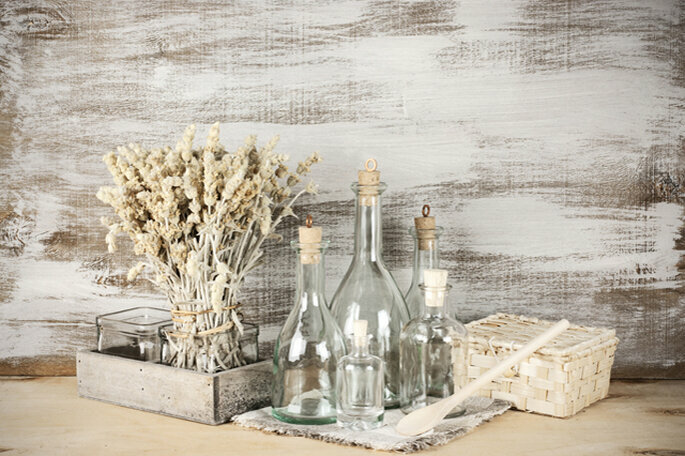 The industrial look is typified by a completely minimalist style, with few opulent and luxurious touches and completely stripped of elegance, but that’s not to say it’s not beautiful in its own way. Elements such as exposed brickwork, old walls, exposed pipework, disused factories, old warehouses or recycled barns are ideal venues. High ceilings with imperfections are essential for an industrial concept. 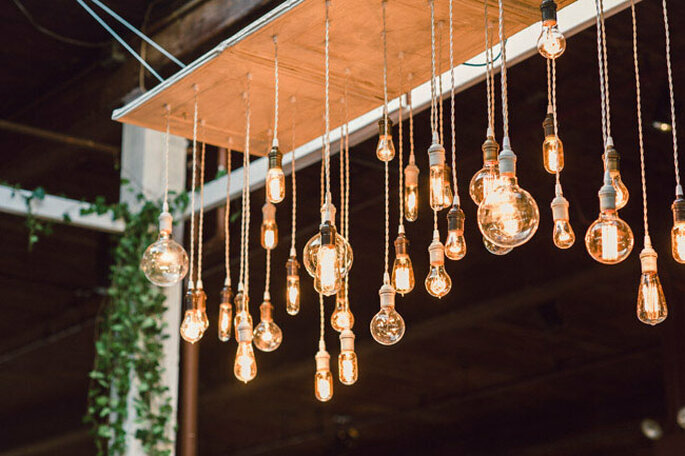 When it comes to lighting, hanging lamps and old rusty spotlights, which are original features of old warehouses are now incredibly popular for this type of wedding. Long tables as opposed to round work best for this theme with a big influence coming from materials such as metal and aged wood. 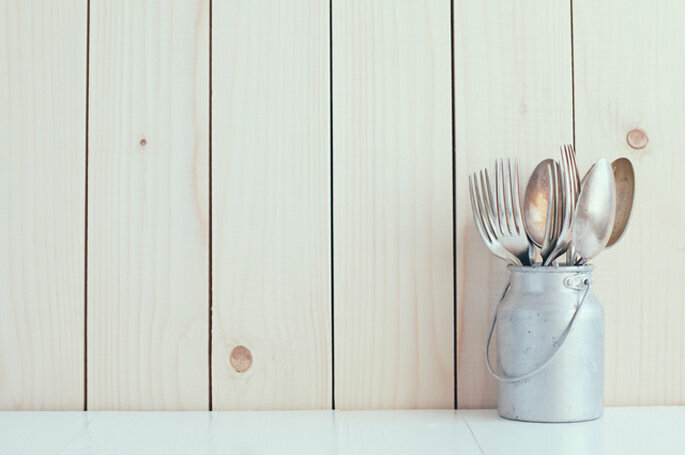 Recycled pallets, which can be bought online or from any hardware store are also great as part of this decor – why not serve canapes on vintage plates, placed on these? We think this would look incredible! 1. 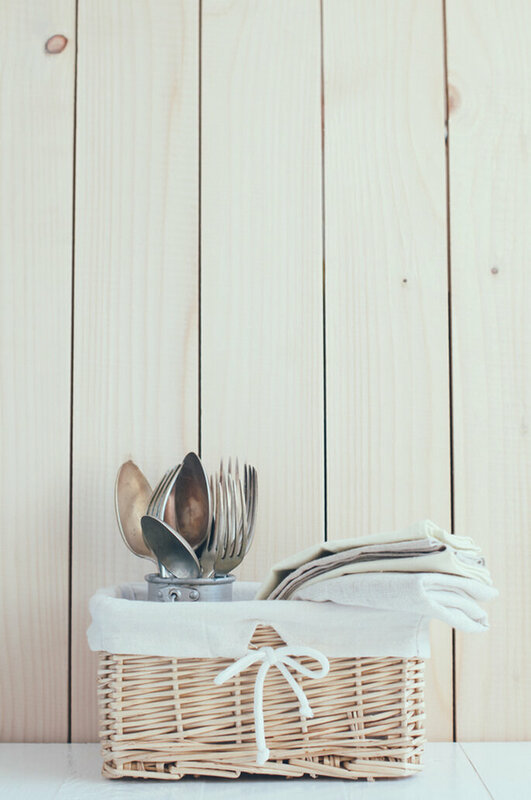 Industrial vintage chic: With retro touches generally found in old factories and warehouses, materials such as glass, wicker and wood with vintage chairs for seating and sideboards for displaying your cake or to display your guest book and seating plan. How about a vintage sideboard displaying a wonderful array of vintage cocktails? 2. 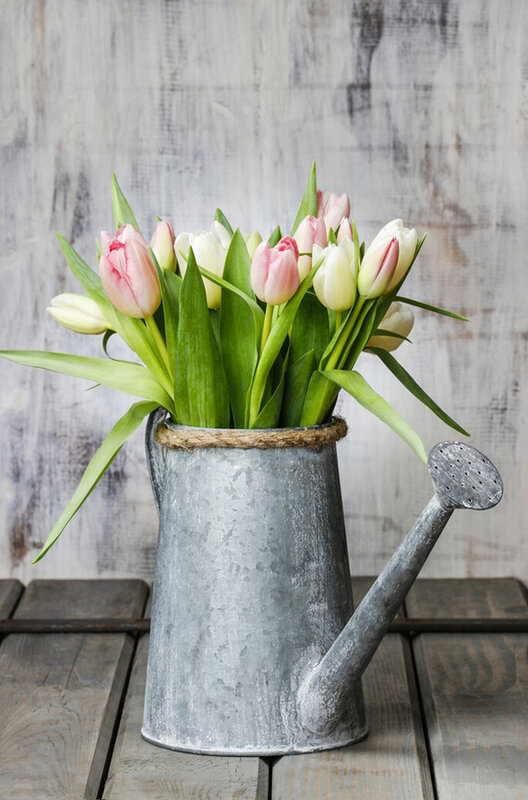 Industrial rustic: Recycled bottles, old pots, jugs, rusty metal watering cans all displayed in a slightly untidy way (part of the charm), are ideal as part of a centrepiece or to be displayed on the cake table or other major focal point. 3. 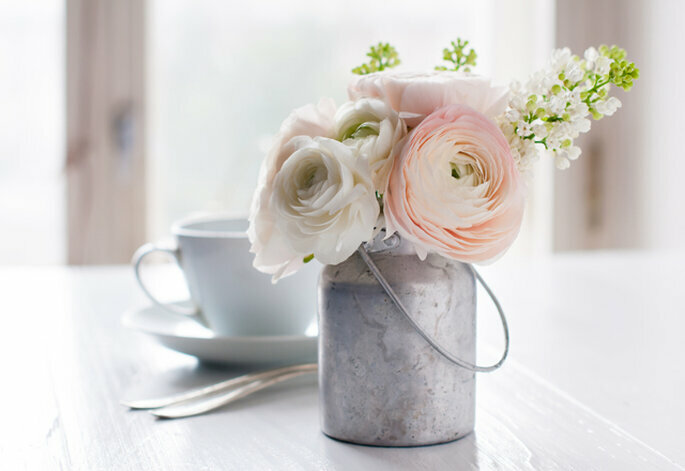 Modern Industrial: For this style, metallic decorations stripped and in their natural form, intertwined with a completely minimalist look, can easily be applied to centrepieces or general table decor. 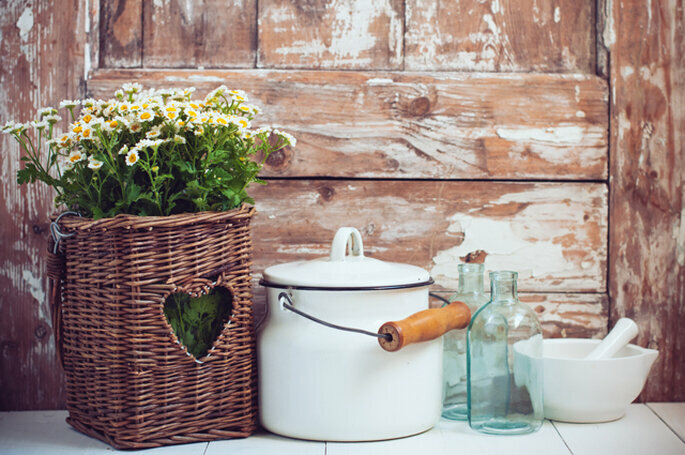 Copper jugs filled with rustic flowers and bronze candlesticks would add another dimension to this style. In this case, less is more! 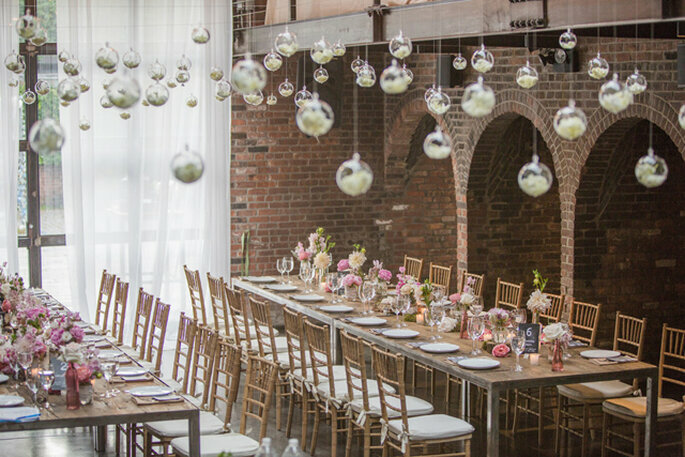 A theme where simplicity is the common denominator reusing details and ideas from an industrial era and the industrial revolution, whether it’s for your reception or a style carried through the whole decor and setting of your wedding. What do you think of this style? Too modern and basic? 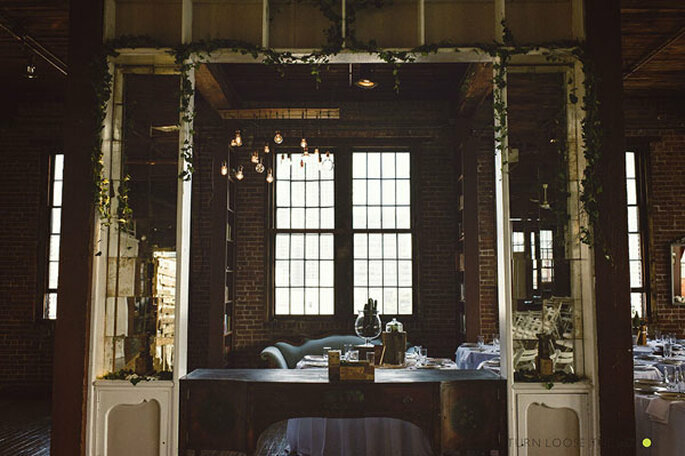 Or like us, do you love the urban feel of a wedding in an old warehouse? Let us know! To see industrial chic in action at a Marbella wedding, click here.